陳大偉 On 2013-04-11 0:38:57In藥王禪院Make a wish：家中各人及, 母親兄弟姊妹, 及親友身體康健. 丘頌明 On 2013-05-20 16:25:44In女媧廟Make a wish：家宅平安!身體健康!事業進步! Metalist On 2015-04-21 20:10:13In九澳三聖廟Make a wish：我要女朋友~~~!! Kuai Hoi Ieng On 2016-05-04 17:36:29In媽閣廟Make a wish：I hope I can get 100 in my Chinese Exam. Nathan Kuai On 2016-05-04 17:45:02In大三巴哪吒廟Make a wish：I hope I can be a good boy. 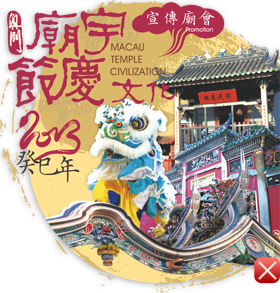 Technical support:P&K Technology (Macao)Company Ltd. Power By Macau Temple Civilization Copyright©2012 ,All rights reserved.